Ten companies have filed bids for the construction of a 32-km stretch of the Kalotina-Sofia highway according to Lazar Lazarov, Chair of Bulgaria's Road Infrastructure Agency. Lazarov, as cited by money.bg, made clear Friday that the tender had been called for a 32-km highway section connecting Kalotina to the western village of Hrabarsko which would have the capacity of a highway (two lanes in each direction). He informed that the project was worth BGN 200 M, VAT excluded, and the plans were to not block traffic along the existing four-lane road. Lazarov explained that the road section would be equipped with around 20 new facilities such as bridges. He admitted, however, that there would be difficulties with securing the funding for the project. The Chair of the Road Infrastructure Agency noted that the 32-km stretch of the Kalotina-Sofia highway had to be financed under the Transport Operational Program but the funds had been fully contracted and there were no more free resources. Lazarov explained that this meant that it was possible that the construction works could not be launched even if a contractor was picked because the Road Infrastructure Agency was not authorized to sign unsecured contracts. Lazarov added, however, that money saved under various projects under the Transport OP could be used to pay for the construction of the highway section or the funds could be secured through a redistribution of resources under operational programs. He further informed that the 32-km stretch was the first stage of the Sofia-Kalotina highway project and was to be completed within 21-25 months. 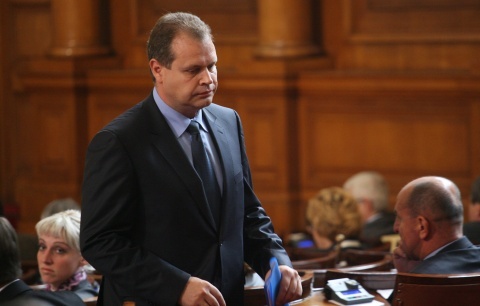 The head of the Road Infrastructure Agency also suggested that it was possible that the Nis-Kalotina highway would be completed in mid-2015, meaning that Sofia and Belgrade would be connected via a modern road.